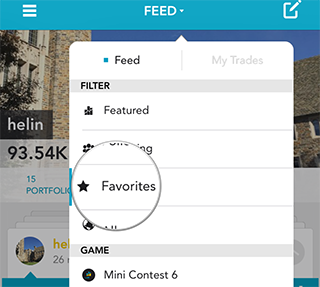 You can bookmark (i.e., favorite) trades you like so that you can review them at a later time. 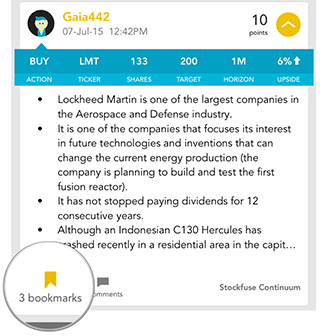 To bookmark a trade, simply click or tap on the bookmarks icon at the bottom of each card. Once a trade is favorited, the color of the bookmark icon will turn orange. On iOS: Go to your home feed and tap on FEED at the top. Then select Favorites. On the web: Go to your feed and click on BOOKMARKED in the navigation bar at the top. Last modified: Aug. 6, 2015, 11:12 p.m.